This is the perfect moment to move to Miami, so if you are considering it, go ahead! The city is evolving into the perfect spot for retiring and living the good life with big business opportunities, the best top-notch technologies and of course, the hottest luxury residential properties to live in. Created by the hand of award-winning architectural firm Sieger Suarez and The Related Group, this residential masterpiece is a statement. 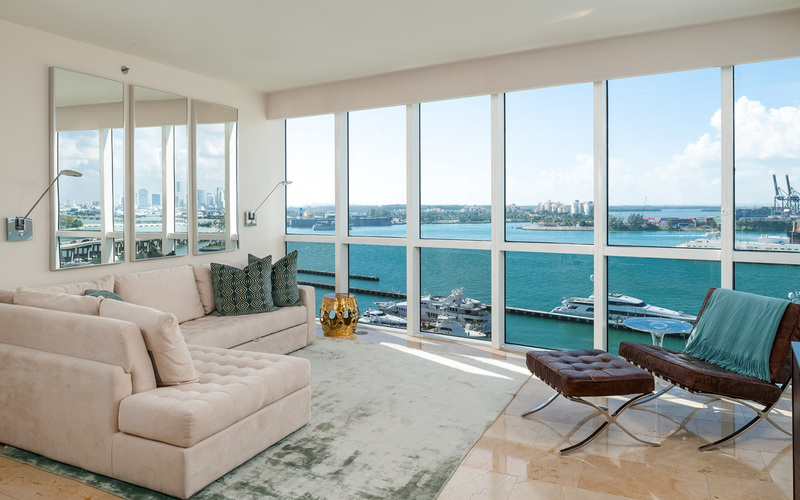 The building offers 67 exclusive residences set right on the waterfront in the sought-after South Beach area in Miami Beach and it pampers it residents with four residences per floor featuring flow-through design plus water and city views. Among the amenities you’ll find a state-of the art spa to take a break from your daily routine and an infinity-edge pool overlooking the bay. This spectacular residential masterpiece has redefined luxury living in the vibrant South of Fifth district of Miami Beach with its gigantic condo units, upgraded residential features and spacious balconies that overlook the Atlantic and Biscayne Bay. As a resident of Murano Grande you’ll also enjoy a heated bay front swimming pool and spa, lighted tennis courts, pool & resort area with restaurant service. This is a two-tower condominium that can be found in the South of Fifth neighborhood. Its structure is visible from Key Biscayne and Fisher Island making it a real standout. You’ll be delighted with the resort-style amenities and services in the building, which includes a full-service beach club, lagoon swimming pool, meeting rooms, and more. 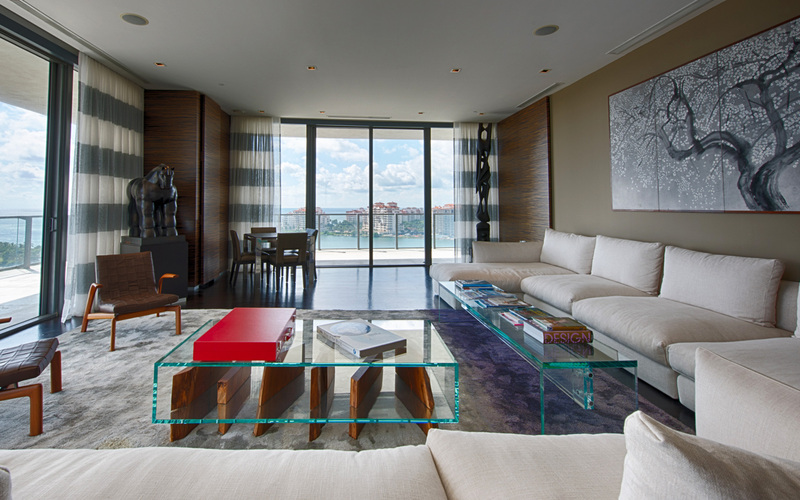 Residences are embraced by walls of glass, 10-foot ceilings and wrap-around balconies with endless, panoramic views. 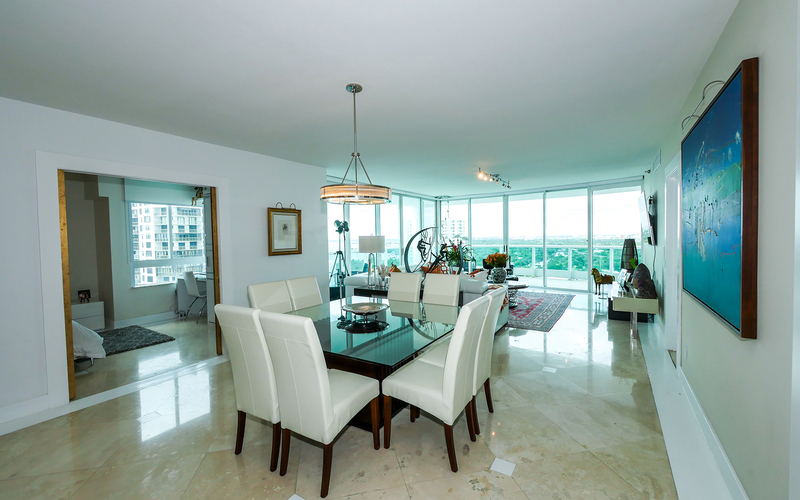 Located right in front the Biscayne Bay, Bristol Brickell is a luxury property you definitely can’t miss. The tower soars 41 floors displaying the most impressive bay and city views and residences count with designer kitchens, private elevators and large diverse floor plans. As for the amenities, you can enjoy a luxurious sauna, a tennis court, and an exclusive swimming pool. This elite property also offers 24 gated security. Being one of the first luxury condo raised on South Beach, South Pointe can be found a few steps from the Atlantic Ocean in the South of Fifth (SoFi) neighborhood of Miami Beach. This imposing tower delights with its stunning units and penthouses facing the water and a recent multimillion-dollar renovation included a new lobby, residence hallways and the additions of a media room and business center.